Normally people get confused about which tire and what brand would be best suitable for a vehicle, in the market there is a lot of different qualities and brands available, in addition one brand with one type of tire has many models in it so always a task for a vehicle owner to what to choose unless the purchaser clearly knows of what tire would be best for his vehicle. Before choosing a tire type a person must know of the right size, tire brand, because not all tires with the same size and types have a same characteristics, some of them are more soft one to make the car more comfortable in bumpy road and some of them are hard ones for longer life, so it does matter on your requirement, your location, brakes, handling, Noise and most important the terrain type. Here is the some basics tips and guidelines of different types of tires and their purpose. 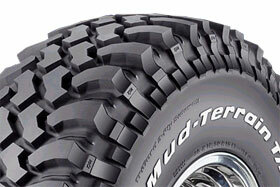 There are different types of tires available in the market. All season tires are basically made up with a combination of soft rubber but more flexible, it can be used for all weathers, they would provide satisfied amount of road grip in hot dry and rainy weather. All season tires have a limited tolerate level of temperature, perform best above that 8Celsius and lower than 48 Celsius degree. Basically you can call them the summer tires. It works on all seasons but better to put the one with the recommended one if the climate as stated above are less or above than this. 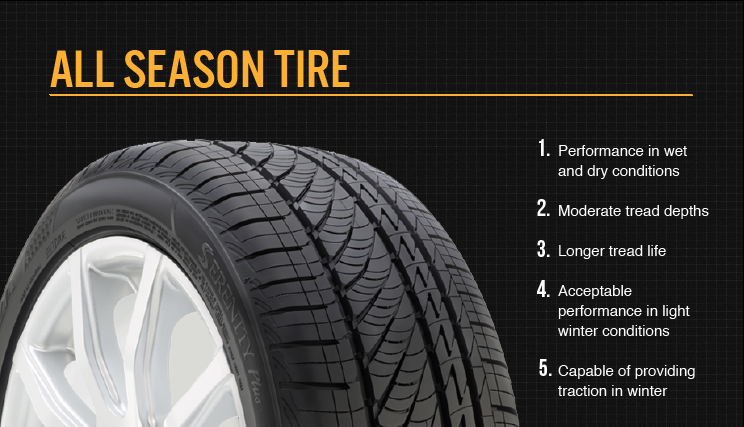 All season tires are fit to any Cars, SUVs and light duty vehicles. These tires are made for on road and off road vehicles, but typically for off roads, Recommended for those who travels off road occasionally. Best works on sandy and rocky terrains instead of muddy terrain, you will need special mud tires if you travel frequently on a muddy terrains. Tires traction and stability on a street roads are less and more noisy in case of high speed, but more traction and road grip on a rocky and sandy terrains. Low profile tires have a lower aspect ratio less than 50, lower aspect ratio means side wall of a tire, more expensive and high quality tires, it provides better road grip, handling traction in case of high speed, but more vulnerable to open potholes, corners of the roads and shorter life as compare to other tires. These tires are hard as compare to other tires, they don’t absorb impact due to low aspect ratio. These tires are basically designed for Muddy terrains, it helps the vehicle to go through every hurdle on their path in the mud. These tires don’t works on street and icy roads, because it provide zero stability and road grip, but works fine on a sandy terrain where the pitch of the terrain are soft. 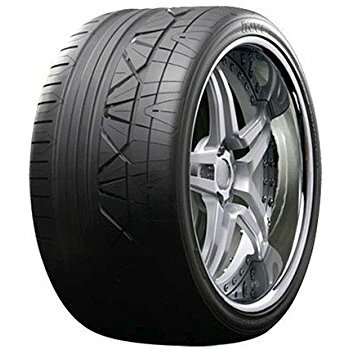 Performance tires also called a low profile tires, and it designed only for sports cars for high speeds and maneuverability in close corners. Ultra-High Performance is another sub category in the performance tire, these UHP are for high end sporty vehicles for more road handling, grip and overall performance. 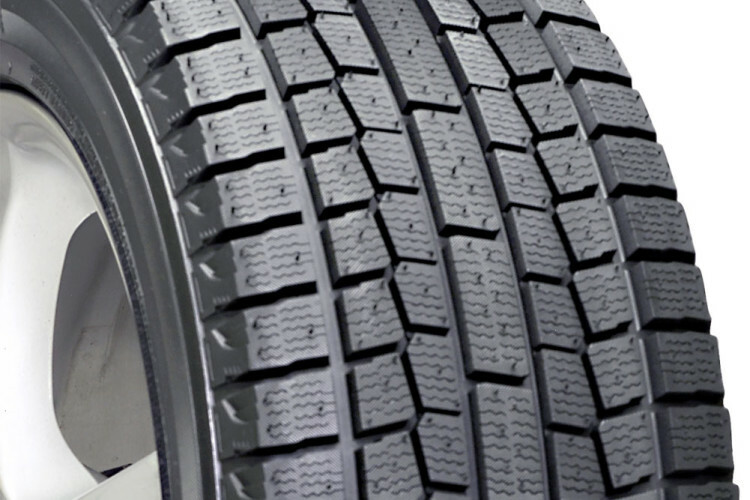 These tires perform well in a winter and snow season, made up of soft rubber with larger amount of sipes in the tires to helps the tread to bite the snow, in addition the tires won’t harden in the winter season which helps the tire to maintain a road grip even in very cold season. These all season truck tires are basically designed for heavy truck, works fine on paved and light off road, the more rugged tread is designed to provide added traction on unpaved and snowy roads. These are the Top 10 Tire brands available in the market, so better to select from these brands for your vehicle. Selection based upon number of factors such as Tire size, Tire brand, Budget and your Terrain Type, all these must have to be consider before buying a tire. Tire Size: you can select the size by looking at your owner’s manual book or look at the side door panel where all information of tire size and PSI written on it, in addition you can replace the new one similarly to the old one. Tire Brand: Try to buy a quality brand tire as stated above in order to be safe and sound on a road. Budget: Good quality branded tires are more expensive than low quality brands, don’t compromise quality due to budget. 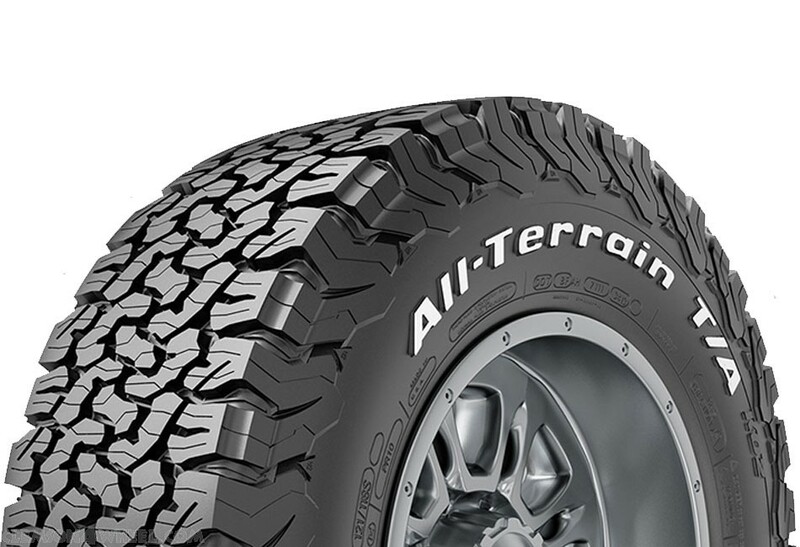 Terrain Type: Terrain tire type selection is a tricky one for newly drivers, if you don’t know then consult from any auto mechanic for help or take an opinion from any tire shop about the right terrain tire for your vehicle. What do the number and letters on a tires means? Letter: First Letter P designated for p-metric tires, P letter referring of the certain standards in the United States and P also refer to as a passenger. In Europe, if there is no letter then it means it has euro-metric referring of the certain standards in the Europe. LT in the start or at the end in Europe and United states referring of a light truck vehicle tires. 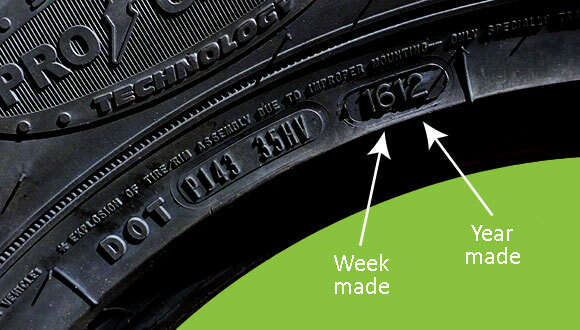 Width: The first numbers in the sidewall indicated the width in millimeters, (185) width in mm is the total sidewall to sidewall width. Aspect Ratio: The two digit numbers (65) is the ratio of the height of the tire’s cross-section to its width. R: The R letter stands for radial. Wheel Diameter: A number (14) after R designated a Rim size of a wheel. 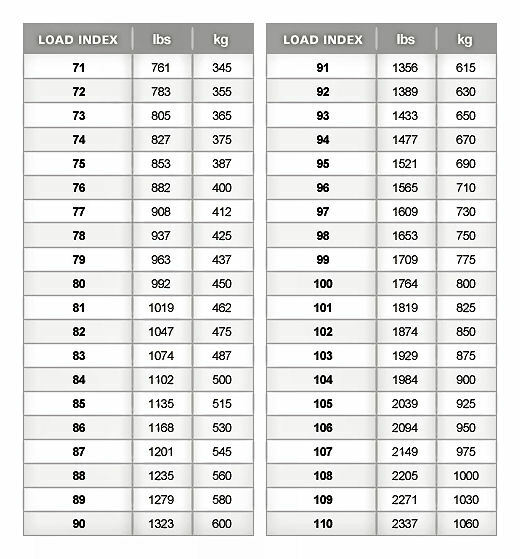 Load Index: After R15 the number (82) designated the recommended inflation amount and the maximum load in pound and kilograms. Speed Rating: Speed Rating (H) tells you the maximum speed capability of a tire. 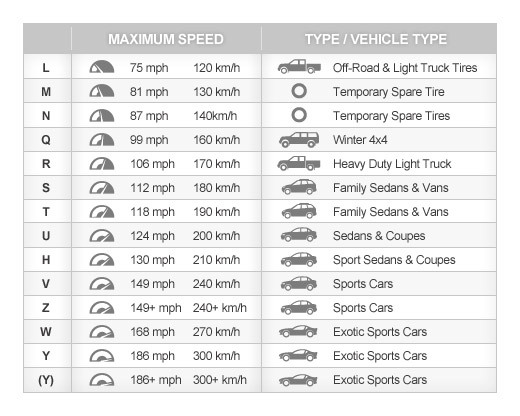 Often speed ratings are matched to the top speed capability of the vehicle. DOT Symbol: The letters (DOT) on the sidewall indicate that the tire complies with all applicable Federal Motor Vehicle Safety Standards in the United States. ID Numbers: After DOT the letters and numbers on a sidewall tires consist of up to 12 numbers in which the tire factory location, manufacturing year and date stamped on it. Traction Rating: The more the rating the more the tire has a traction in wet conditions, AA rating is the best. 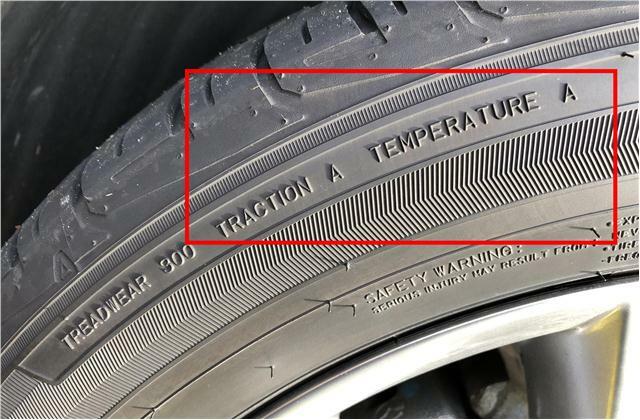 Temperature Rating: Temp rating indicates the tire to withstand in a destructive heat, higher rating means works well in higher speed.